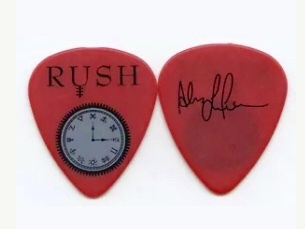 Rush Alex Lifeson signature tour guitar pick. 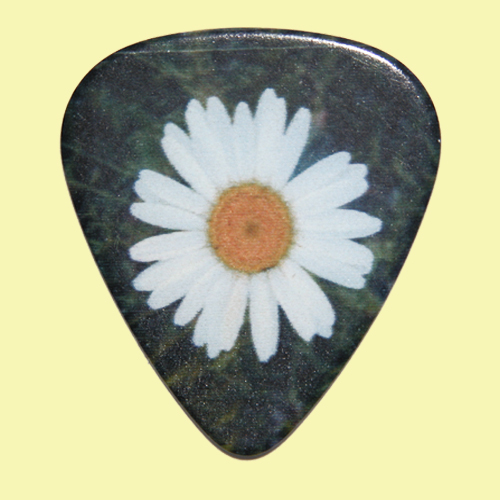 The pick is dark red and is double-sided. 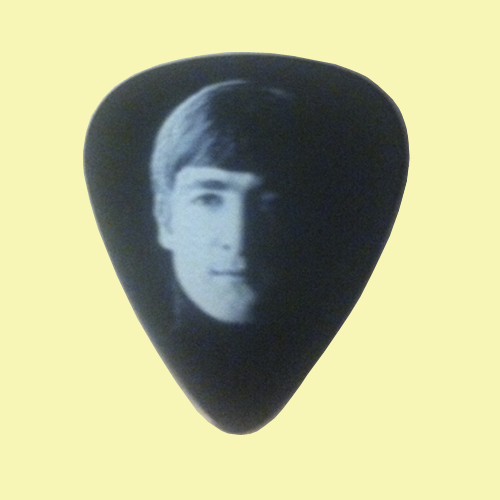 The front of the pick has the Rush logo and clock face. 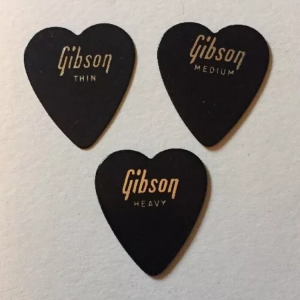 The back of the pick has the Alex Lifeson signature. 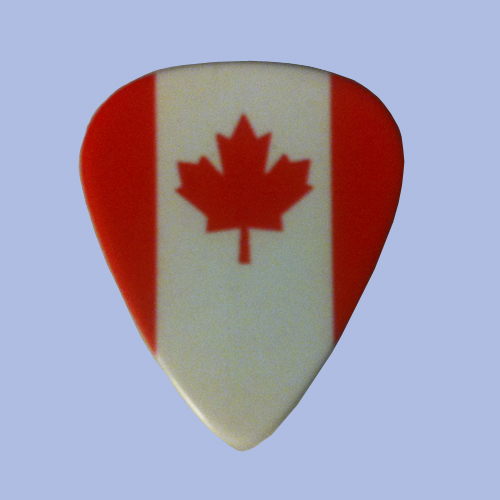 This guitar pick is from the Rush 2011 “Time Machine” tour. Great item for the RUSH fan.